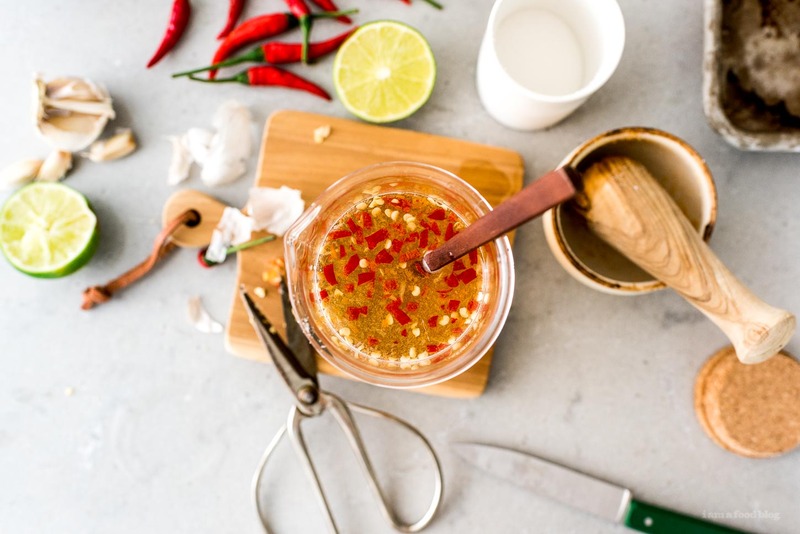 A classic Vietnamese dipping sauce made with fish sauce, lime, sugar, garlic, and chilis. Super easy to make and delicious with grilled meat, rice, noodles, rolls, and more! If there’s one thing I usually have on hand, mixed up in the fridge, it’s Vietnamese mixed fish sauce, or nước chấm. It only takes 5 ingredients – 6 if you count water – but by their powers combined, it’s so much more than just a sauce. It’s sweet, savory, spicy, garlic-y, and addictive. The hit of acid from the lime brings everything together and I could almost drink the stuff, it’s so good. 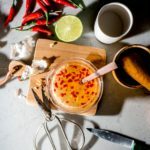 This is a recipe for classic dipping sauce, used with salad/summer rolls, spring/imperial rolls, meats, and for cold noodle bún bowls. There are actually loads of variations of this dipping sauce, all used for different foods. If you’re having duck or seafood, you add a bunch of ginger, and if you’re making it as a sauce for a rice dish, you add shredded carrot. It’s extremely versatile and easy to make. 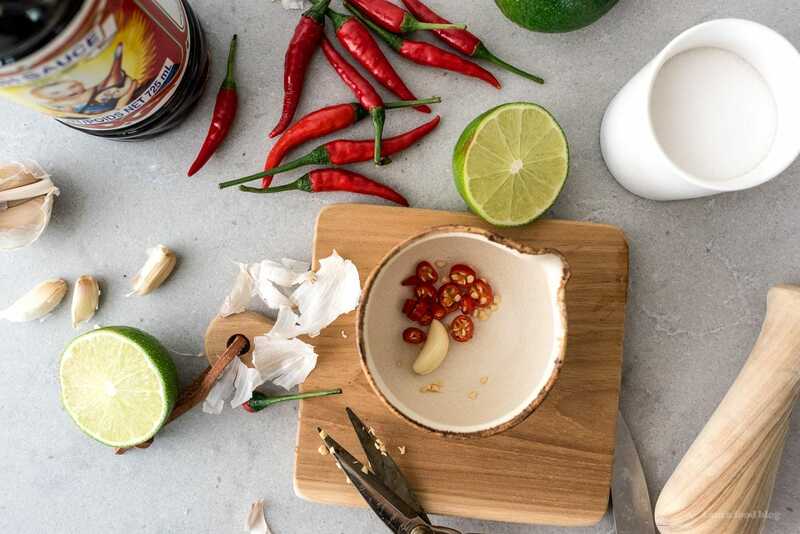 Every household has their own fish sauce recipe and that’s the way it should be – everyone’s nước chấm tastes slightly different. This particular recipe is based off of my mother-in-law’s fish sauce, which is the best in the world, hands down. Of course, way back in the day, when I asked her how to make it, it was the classic, “a little bit of this, a little bit of that” style teaching that everyone in that generation seems to do. But, she took the time to take me through it step-by-step and now I like to think that my nước chấm would be a very strong contender in a fish sauce throw down. But not a literal throw down because damn, you would not be able to get rid of the smell for days. Put a clove of garlic in a mortar and pestle. Pound it lightly and then add a chili and mash them together. Add a biggish handful of sugar and pound them together until the sugar turns pink and is super deliciously spicy and garlic-y smelling. 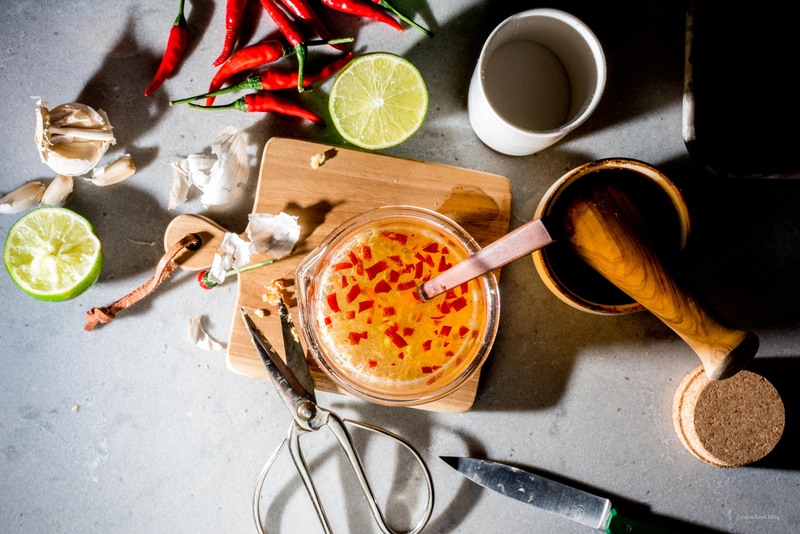 Move the chili-garlic-sugar to a bowl and stir in some water then squeeze in half a lime. 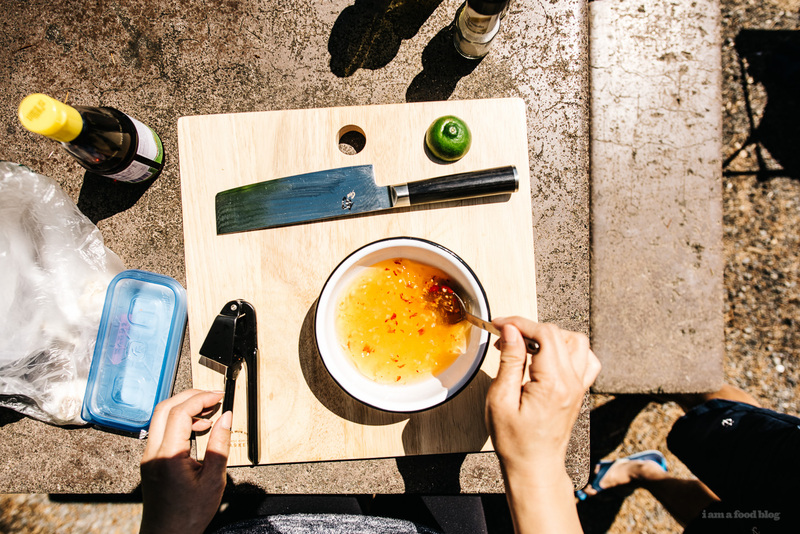 Pour in fish sauce until the color is a perfect light amber. Taste and adjust and you’re done! 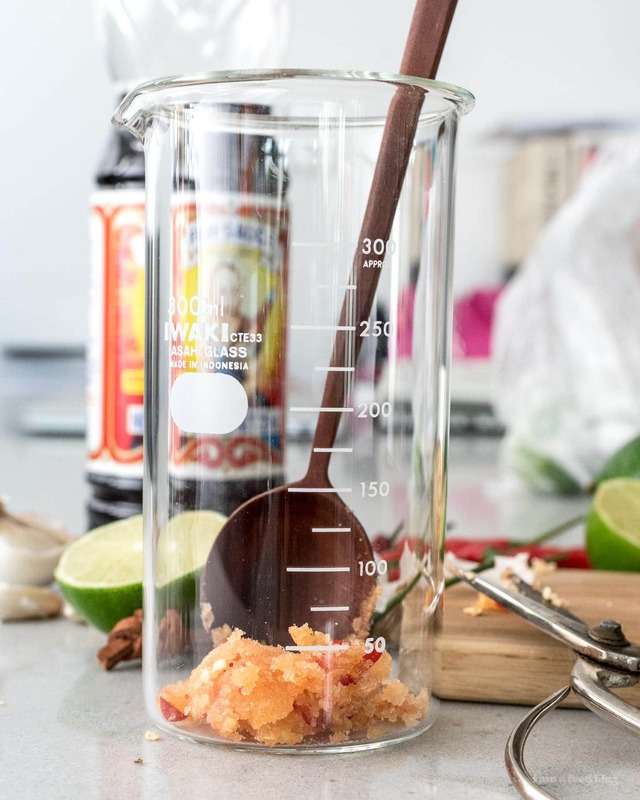 That’s essentially how I make fish sauce now, but I use the help of measurements so I get the same results every time. 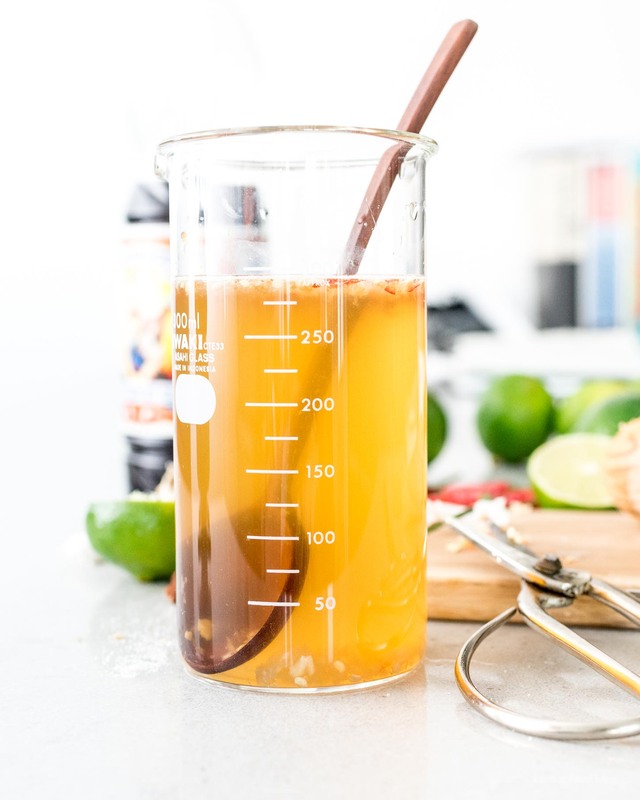 This recipe below will make a fish sauce that’s sweet and a little spicy with just the right amount of garlic and lime. Feel free to adjust and play around with the ratios though! Mike thinks my fish sauce is slightly on the sweeter side so when he makes it he dials down the sugar a bit and always adds in an extra chili or two. The most important part is crushing the garlic and chili into the sugar with a mortar and pestle so you get a nice fragrant spicy sugar before mixing in the water and lime. Oh, and you always mix in the fish sauce at the end. 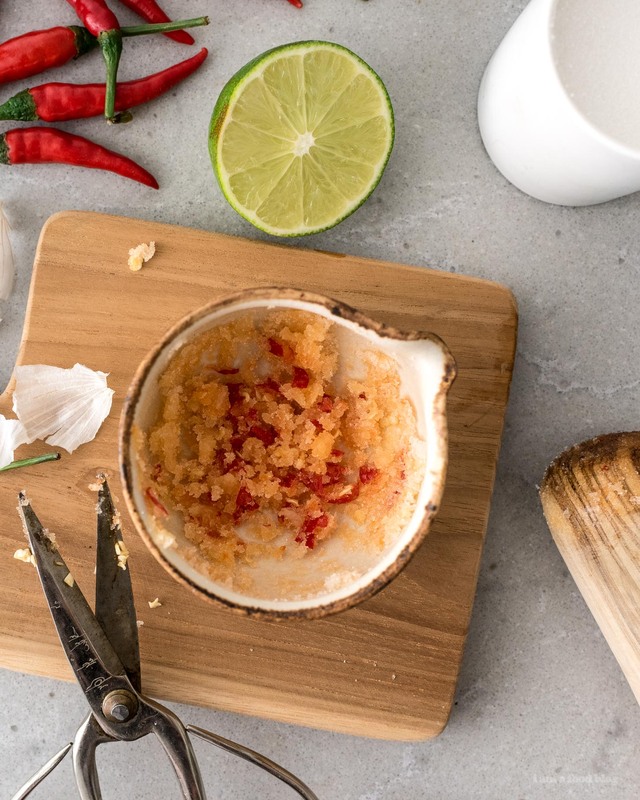 Crush the garlic, chili and sugar together in a mortar and pestle until the garlic and chili are crushed to tiny pieces and the sugar is spicy and fragrant. Alternatively, you can stir minced garlic and sliced chilis into the sugar. Dissolve the sugar, garlic and chili mixture with the water then add the lime juice. Mix well then add the fish sauce. 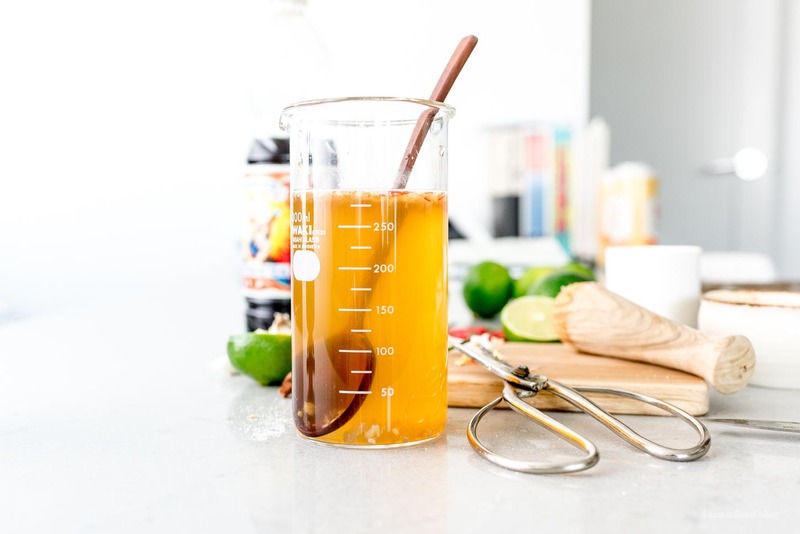 It’s best to let the fish sauce sit in the fridge for a day or so for the flavors to meld before using, but you can definitely use it right away if you need to. Notes: This sauce is on the sweet side, which is how I like it, but feel free to play around with and adjust the proportions as you see fit. I’d say start with 2-3 tablespoons of sugar and go from there. Also, sometimes we like to use more of a slightly thicker more viscous sauce – to do this, simply reduce down the amount of water you add. Inspired by your blog, I made my first summer rolls and this dipping sauce today. Soooooo good! I definitely agree the sauce would probably be better made in advance and I was a little worried initially but it paired so well with the rolls :) Thank you from rural Ireland! How long would the sauce last in the fridge? it should last about a week in the fridge!